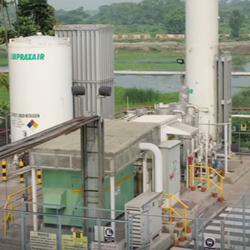 Praxair offers an affordable, reliable, and efficient LNG small-scale production plant. This low capital offering is a modular system that can be easily deployed and in many cases moved from site to site. Praxair’s small-scale LNG system provides a wide range of operational flexibility, fast start up, and low maintenance requirements. The efficiency and reliability delivered by Praxair’s small on-site LNG production plants, helps greatly ensure the success of your enterprise. Designed at our global technology center in Tonawanda, New York — where Dr. Carl von Linde invented air separation over 100 years ago — all Praxair air separation units are designed per local codes, customs, and our customer’s safety requirements. Check out Praxair’s Website to know more about our LNG technologies.